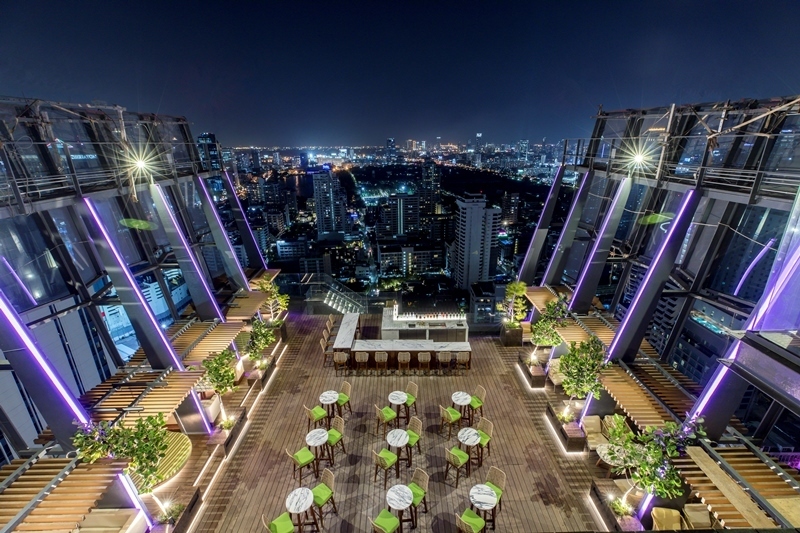 Spectrum is a three-level watering hole that crowns the newly-opened Hyatt Regency Sukhumvit Hotel on Soi Sukhumvit 13. 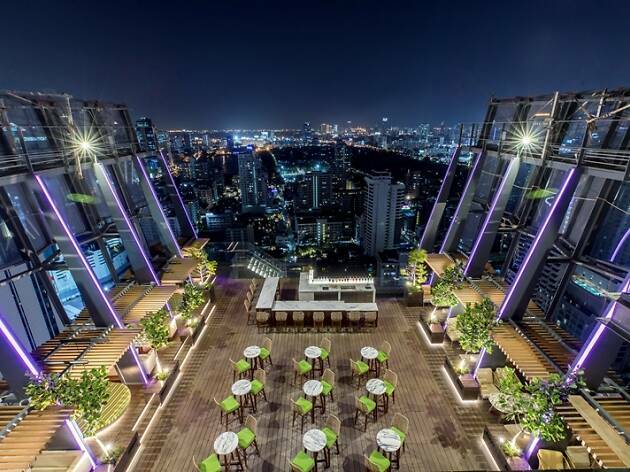 Comprising an air-conditioned lounge and a more exciting outdoor, it’s ideal for taking in views of Lower Sukhumvit. 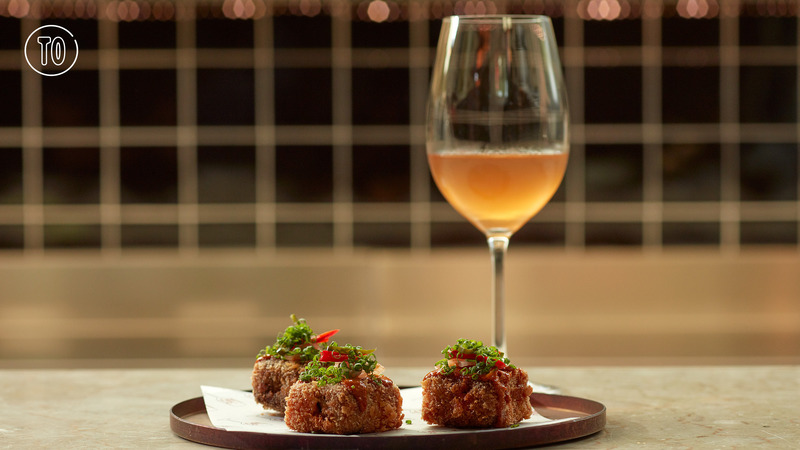 It's unfortunate that the concept of the Prohibition—a temperance movement spanning the 1920s that banned alcohol consumption in the US, but ironically when the cocktail culture blossomed in the country—has been reduced into a marketing gimmick for many a retro-inspired cocktail bar. 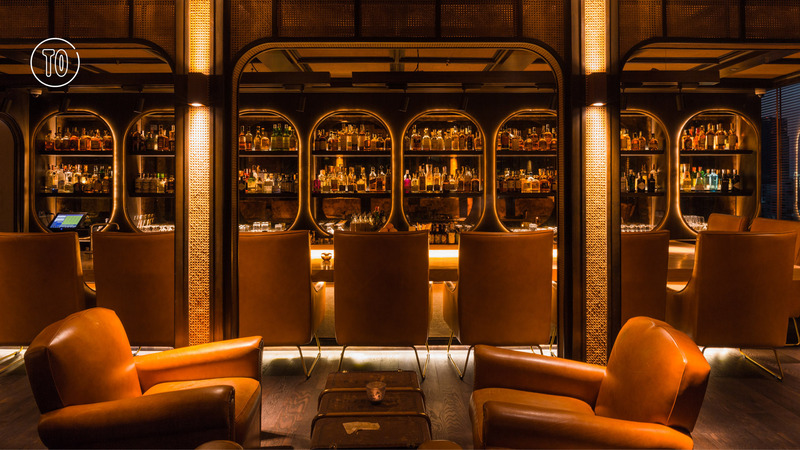 008, a new secret bar in Thonglor hasrescued the concept by offering a drink menu that pays proper respect to the spirits of the era. 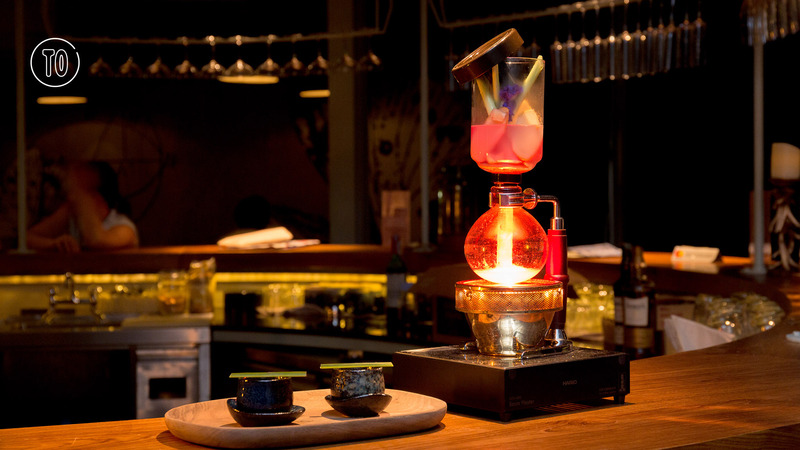 Pailin “Milk” Sajjanit, the former head mixologist at Vesper and Zuma, and 2016 Diageo Southeast Asia World Class champion, is in charge. She makes sure the drinks are well-rounded and appropriately play along with the Prohibition theme. Inspired by the zeitgeist of the era, Pailin has come up with spirits-forward numbers with empowering names such as Great Power (B460). 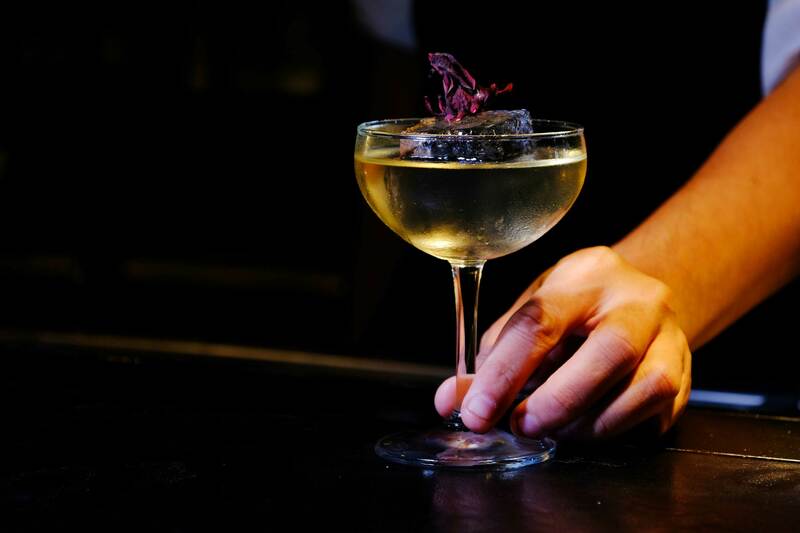 Based on a classic Manhattan recipe, this drink mixes Rittenhouse rye with oregano-infused Ysabel Regina brandy and aromatic bitters. Another signature drink, the 1920s (B360), is a more well-rounded version of Negroni, combining Whitley Dry Gin, Campari and clarified orange-infused vermouth. 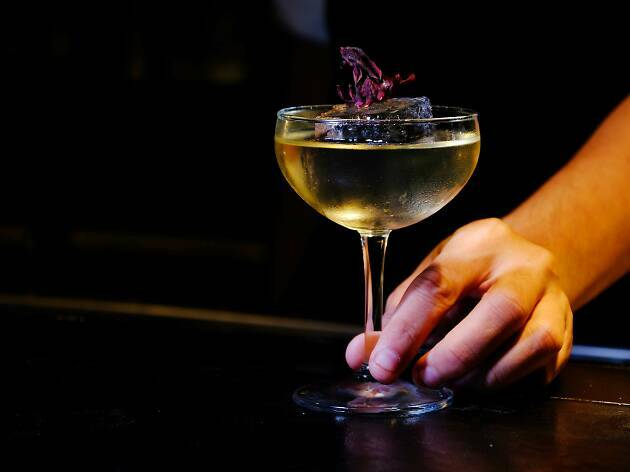 Forgotten Prohibition classics are also reinterpreted by Pailin. 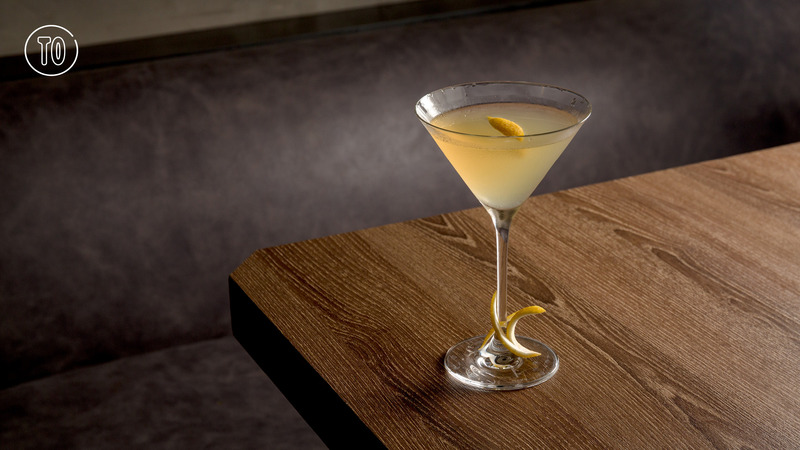 A drink called Pyroblast (B420) is inspired by a recipe from the cocktail tome, Lost Recipes of Prohibition by Matthew Rowley, and has been resurrected as a refreshing rum-based cocktail with coconut syrup and a “Pyroblast syrup” made of spices. 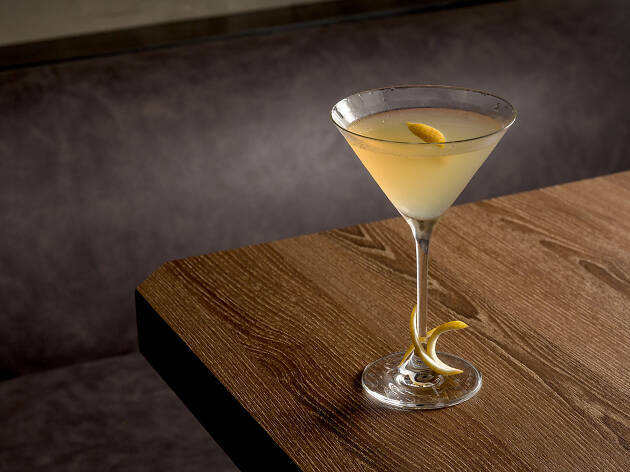 Apart from playing up the Prohibition theme, one of the agendas of 008 is to focus on classic cocktails and deliver them as they are supposed to be. 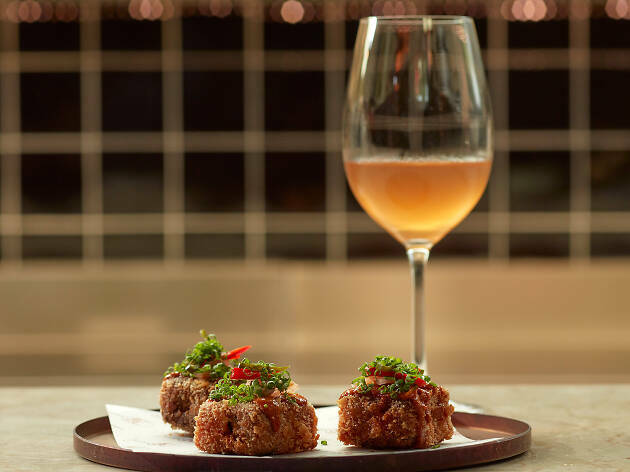 Octo Seafood Bar has made its name to Sukhumvit’s dining scene as a one-stop seafood destination with eye-striking giant octopus clinging majestically at the very store front. Helping to fulfill the ocean theme of the shipshaped restaurant is a cocktail bar serving cocktails with references to the underwater world. Perching on the second floor of the seafoodcentric complex, Dr. Fetch is embedded with narratives alluding to a laboratory hidden underwater operating by a fictional scientist. That explains the reasons why all the bartenders are dressed up in white laboratory gown. In contrast to the bright restaurant setting, the inside of Dr. Fetch is dimly-lit and succumbed to the heavy beats from live band performing nightly. 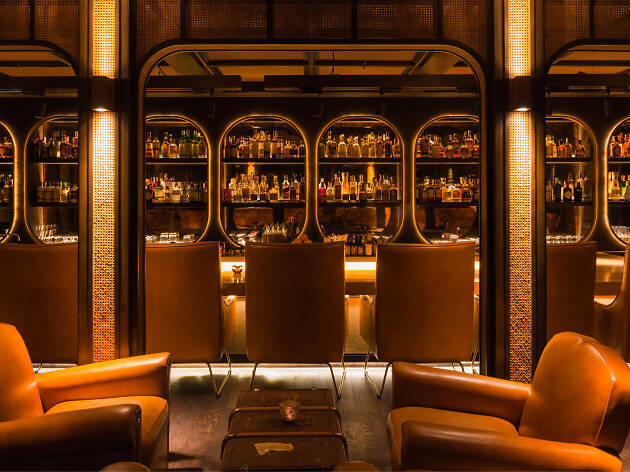 If you look for a more private corner, take a seat in a connect room quirkily surrounded by wooden rabbits and animal skeletons. To comply with the bustling seafood restaurant downstairs, Dr. Fetch cocktails are conjured up with strong influence from the sea — dominantly via the name of the cocktails, garnishes and the shape of the glasses, not in the drink as we had expected. 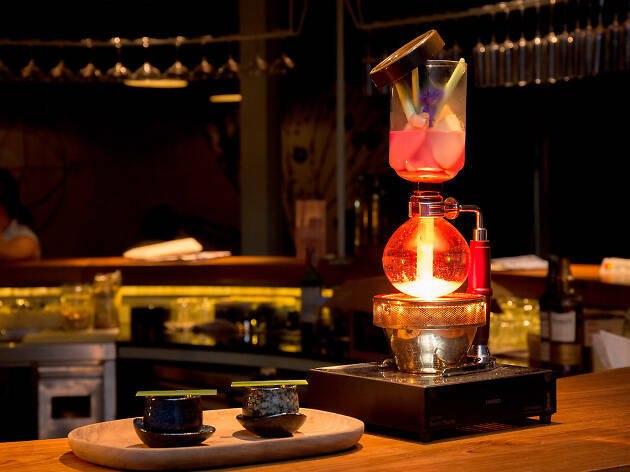 There’s the Pirate Spice Rum (B400), the concoction photogenically served in a siphon machine with the combination of pea flower-infused rum, toasted coconut and Maraschino liqueur brewed with lemongrass, ginger and butter, before being served hot in a Chinese-style tea cup. (The item is big enough to feed 3-4 people).